Columbus, OH- To sum up our explanation of medical vs. general health apps, we found it beneficial to add one more post to the series. Our previous articles covered the definition of mobile medical apps and three examples of FDA-approved apps. On the contrary, following are three useful healthcare apps that did not require FDA approval, as they are meant for educational purposes and don’t involve much risk to the consumer. Given that I don’t have an extensive medical background, the ability to visually learn about certain health conditions intrigued me enough to download this app. Online reviews reflects patients benefitting from the app to visualize their medical symptoms, as well as healthcare professionals and professors using it to support explanations. Doctors and patients now have access to a variety of reference apps – including UptoDate, Medscape, WebMD, and Epocrates. Healthcare professionals use such apps in their everyday clinical practice to check recommendations on accuracy and improve efficiency. According to Crunchbase.com, one out of three U.S. physicians currently uses the Epocrates software. Of course we had to include Doximity here as well. This free app lets physicians connect and exchange information with over 30,000 peers, as a three-step credentials check ensures an exclusive community of healthcare professionals. In addition to networking and reading journal articles, members can request a free HIPAA-secure fax line, earn CME credits, and browse professional opportunities. As Managing Director of Innovation for Syneos Health Communications, Leigh is responsible for shaping the company’s perspective on the next era of healthcare marketing. Through thought leadership, strategic innovation workshops and new products and capabilities, Leigh focuses on identifying marketing approaches that will fuel that new era and generate significant growth for clients. Leigh has worked with Fortune 1000 companies to craft their digital, mobile, social and CRM strategies for over 17 years. She’s worked for category-leading agencies in retail, public affairs, B2B technology, and higher education. 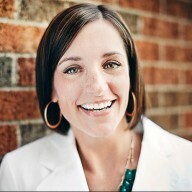 Prior to moving to Syneos Health Communications, she had several leadership roles at one of our agencies, GSW. There, she founded an innovation practice fueled by the zeitgeist and spearheaded digital and innovation thinking across the business. Leigh has taken a special interest in complex healthcare products that can change lives in meaningful ways. She was recently a strategic lead on the 3rd largest launch in pharmaceutical history: Tecfidera. Before that she had keys roles with Eli Lilly Oncology, Abbott Nutrition, Amgen Cardiovascular, and Eli Lilly Diabetes. A critical part of Leigh’s work is trends and new ideas. Every year, she convenes a group of trend watchers from across our global network to identify the shifts most critical to healthcare marketers. Leigh is a sought-after writer and speaker. Recognized as one of the most inspiring people in the pharmaceutical industry by PharmaVoice, Leigh also was recognized as a Rising Star by the Healthcare Businesswomen's Association (HBA) for her overt passion, industry thought leadership and significant contributions in new business, strategy and mentoring.